The closing pages of Ch. 1 sketched the growth of monasticism initiated by Benedict and his sister Scholastica. By the time of Emperor Charlemagne (d. 814) the Rule of Benedict had spread across Europe and provided a visible link between autonomous abbeys. Boniface (d. 754), a British missionary monk, not only preached Christianity in Germany but also established or helped to establish Benedictine houses there, most notably the Abbey of Fulda. Convents of Benedictine nuns continued to be established, and would boast of such notable figures as Roswitha of Gandersheim (Saxony), a tenth-century writer of poetry and plays. Great mystics such as St Hildegard of Bingen and St Gertrude of Helfta (1256-c.1302) followed the more austere Cistercian rule. By their time, reform movements among Benedictine monks had led to the foundation of new communities where stricter observance prevailed. Thus the Cistercian Order emerged, its name coming from its mother house of Citeaux (founded in 1098, the year of Hildegard's birth), where St Bernard (1090—1153) became a novice in 1112. His immense influence played a major part in disseminating the new order right across Western Europe.30 By the close of the twelfth century 530 Cistercian abbeys had been established and there would be another 150 foundations in the next century. Bernard sent a group of monks to found the Abbey of Rievaulx in Yorkshire. By the time of St Aelred (abbot 1147—67 and called the 'Bernard of the North') this community numbered around 600 monks. Like Rievaulx, Cistercian houses were normally erected in remote areas. They followed strict rules on silence, diet, and manual labour, fostered plain architecture, and practised good farming methods. After the seventeenth century this order came to be divided into the Cistercians of the Common Observance or simply the Order of Cistercians (O.Cist.) and Cistercians of the Strict Observance (OCSO), popularly called 'Trappists' (from the rigorously ascetical Abbey of La Trappe in France). At the end of the twentieth century there were 169 houses of Trappist monks and nuns in various countries, and 160 houses of monks and nuns of the Common Observance. Cistercians, both men and women, continue their witness by a lifestyle of prayer, study, silence, and Christian simplicity, as do thousands of Benedictine monks and nuns around the world. 30 See G. R. Evans, Bernard of Clairvaux (Oxford: Oxford University Press, 2000). Mary and requires a string of beads to count the particular prayers it involves. 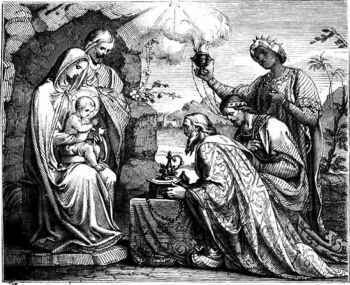 The five 'joyful mysteries' centre on Christ's birth and childhood. The five 'mysteries of light' begin with Christ's baptism and end with his institution of the Eucharist. The five 'sorrowful mysteries' begin with Christ's agony in the garden and end with his death on the cross. The five 'glorious mysteries' start with Christ's resurrection and end with Mary's sharing in her Son's victory over death. Each mystery includes the 'Our Father' (once), the 'Hail Mary' (ten times), and the 'Glory be to the Father' (once). Because of its repetitions, the rosary has sometimes been called the 'Jesus prayer' of Western Catholicism. Thanks be to thee, my Lord Jesus Christ, for all the benefits which thou hast given me—for all the pains and insults thou hast borne for me. O most merciful Redeemer, Friend, and Brother, may I know thee more clearly, love thee more dearly, and follow thee more nearly. 31 See C. W Bynum, Jesus as Mother (Berkeley, Calif.: University of California Press, 1982). popular Imitation of Christ by Thomas a Kempis (1380-1471) was to put across for all ages what a Jesus-centred life entails: 'Blessed are those who know how good it is to love Jesus.Love him and hold him for your friend; for, when all others forsake you, he will not forsake you or suffer you finally to perish' (2. 7). In short, 'to be without Jesus is the pain of hell, and to be with him is a delightful paradise' (2. 8). Three centuries earlier St Francis of Assisi (1181/2-1226) epitomized forever the Christ-centred life. By celebrating Christmas in a barn with animals and straw, he conveyed the deep meaning of Jesus' birth and encouraged the widespread practice of using various figures to represent that birth with which the Gospels of Matthew and Luke begin. Love for the human story of Jesus led Francis and his followers not only to celebrate, with what we know as Christmas cribs, the birth of Jesus but also to recall the end of that story in his passion and death. During an ecstatic experience two years before his death Francis received the stigmata—wounds on his hands, feet, and side that corresponded to those of the crucified Jesus and completed the Christlike image he presented. His followers took over in 1342 the custody of shrines in Jerusalem associated with Christ's suffering and death. For those Christians unable to visit the Holy Land, Franciscans and others erected innumerable Stations of the Cross as a means for sharing through prayer in the passion, death, and burial of Jesus. A Franciscan, St Leonard of Port Maurice (1676-1751), set up more than five hundred sets of Stations, the most famous being the one in the Colosseum of Rome where Pope John Paul II regularly led the faithful in prayer on Good Friday evening. Like the Stations of the Cross, the medieval passion plays elaborately presented the story of Jesus' suffering and death and so fostered devotion to the crucified and risen Christ. Along with the Stations of the Cross, such religious dramas have enjoyed a striking revival since the nineteenth century—not least through the continuing success of the Oberammergau Passion Play (southern Bavaria), which has been staged more or less every ten years since 1634 and which over the last thirty years has shed some of its anti-Semitic elements. The influence of Francis and his associate, St Clare (1194-1253), has endured through such remarkable figures as St Antony of Padua (1195-1231), Blessed Angela of Foligno (¿1248-1309), Saint Pio of Pietralcina (1887-1968), and many other Franciscan mystics and missionaries. The unaffected faith, deep humility, total poverty, gentleness with the vulnerable, and Christlike love practised by Francis have made him one of the most popular saints of all times. At Assisi in the Basilica of St Francis twenty-eight frescoes by Giotto, which line the walls of the nave in the Upper Church, tell the story of the saint: the sorrows, joys, and miracles of Francis's life are easily understood by the pilgrims who have always thronged to that holy place. Catholics and other Christians continue to feel his influence, not least the love of creatures expressed by his 'Canticle of Brother Sun', which celebrates 'brother sun, sister moon, brother wind, sister water, brother fire, and sister earth'. A world suffering from environmental degradation and threatened even with the death of the planet may still find a saving message in Francis's lyrical feeling for the beauty and goodness manifested in all creation. Dominicans, Franciscans, and members of other religious orders, by providing professors and erecting their own study centres, contributed to the growth of European universities: in Bologna (eleventh century), in Paris (twelfth century), in Oxford (second half of the twelfth century), in Padua (1222), Cambridge (late thirteenth century), Prague (1348), and elsewhere around Europe. Wisdom had no frontiers in the medieval period. The Franciscans Alexander of Hales (¿•.1186—1245), Roger Bacon (c-.1214-c-.1292), and William of Ockham (¿1285-1347) were English. So too was that distinguished friend of Dominicans and Franciscans, Robert Grosseteste (c.1170-1253), a scholar and bishop famous for his learning in theology, biblical studies, physics, and astronomy. The Franciscan Blessed Duns Scotus (c.1265-1308) was a Scot; Siger of Brabant (c.1240-c.1284) came from what is now part of Belgium and Holland; the Dominican St Albert the Great (c.1200-80) was German; the more mystical Franciscan St Bonaventure (c.1217-74) and the toughly realistic Dominican St Thomas Aquinas (c.1225-74) were Italians. Aquinas typified the mobility and internationality of the new learning that had been pioneered by Anselm and Peter Abelard (1079-1142), sharpened by the rediscovered metaphysical writings of Aristotle, and inspired by the desire to relate faith and reason. 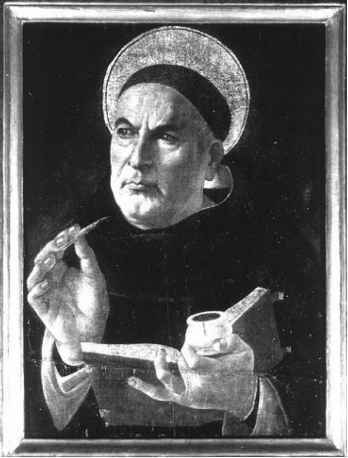 As student and teacher, Aquinas spent time in Paris, Cologne, and intellectual centres in Italy (Anagni, Orvieto, Rome, and Viterbo). The last two years of his life were spent setting up a Dominican school in Naples and working on his Summa Theologiae, a masterwork of Christian humanism and compendium of systematic theology to be used by students. 32 On Aquinas see J. Jenkins, Knowledge and Faith in Thomas Aquinas (New York: Cambridge University Press, 1997); N. Kretzmann and E. Stump (eds. ), Cambridge Companion to Aquinas (New York: Cambridge University Press, 1993). On Aquinas's Christology see E. Stump, 'Aquinas' Metaphysics of the Incarnation', in S. Davis, D. Kendall, and G. O'Collins (eds. ), The Incarnation (Oxford: Oxford University Press, 2001), 197—218; G. O'Collins, Christology (Oxford: Oxford University Press, 1995), 203—7; P. E. Persson, Sacra Doctrina: Reason and Revelation in Aquinas (Oxford: Blackwell, 1970). descending to become flesh', obviously highlighted the incarnation. At the same time, however, he did not allow an all-absorbing theology of the incarnation to take over. He stood apart from many of his predecessors (e.g. Anselm) and successors (e.g. numerous authors of pre-Vatican II Christology) in treating Christ's resurrection at considerable length. Aquinas provided much 'food for verse', not least on the theme of divine love, for Dante Alighieri (1265—1321), the most famous medieval poet and with William Shakespeare (1564—1616) arguably the greatest poet of all time. Born in Florence, Dante was 25 when his beloved Beatrice died. Her death triggered a profound crisis, from which a vision of Beatrice in 1296 roused him to fulfil his promise that he would write a poetic work 'such as had been written for no lady before'. Just before he died, he finished the last canto of the Divine Comedy. ; which ends by celebrating 'the love that moves the sun and the other stars'. That canto opens with St Bernard praying to the Virgin Mary ('Maiden, yet a Mother, Daughter of thy Son') that Dante might be enabled to see God. The poet's earthly love for Beatrice has brought him to the vision of the all-loving God. 33 See M. Rubin, Corpus Christi: The Eucharist in Late Medieval Culture (Cambridge: Cambridge University Press, 1991). medieval universities) helped to shape what we continue to see in Catholic Christianity (and beyond), and—for that matter—to hear in an astonishing musical heritage. We look now at the sacramentalizing of daily life, through pilgrimages and other activities.